For his transcription of the Dvořák’s Slavonic Dance No. 1, Op. 46, No. 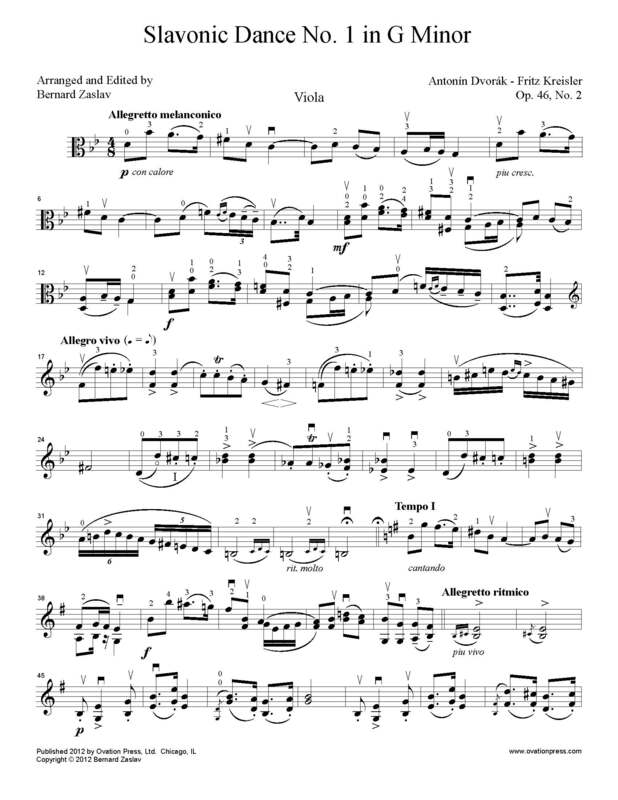 2 for viola and piano, Bernard Zaslav consulted a previous transcription by the legendary violinist-composer Fritz Kreisler, taking note of its brilliant string figurations, its mischievous chromatic harmonics and its clever incorporation of material from other Dvořák Slavonic Dances.